The 10x Close Up Lens gives the Micro HD camera a focusing range of 6 to 24 inches (15 to 61cm), allowing the camera to capture close up underwater images and video. Reveal the details of a tiny coral shrimp or small anenomefish – the lens will bring the Micro HD’s 13mp image and 1080p HD video capabilities to all of the small details. 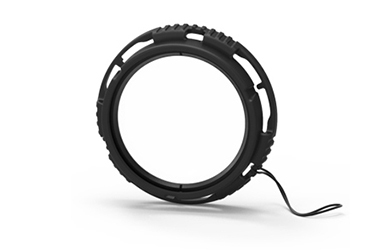 The lens easily attaches and removes from the Micro HD camera underwater, and includes a small lanyard to secure it to the camera while in use.